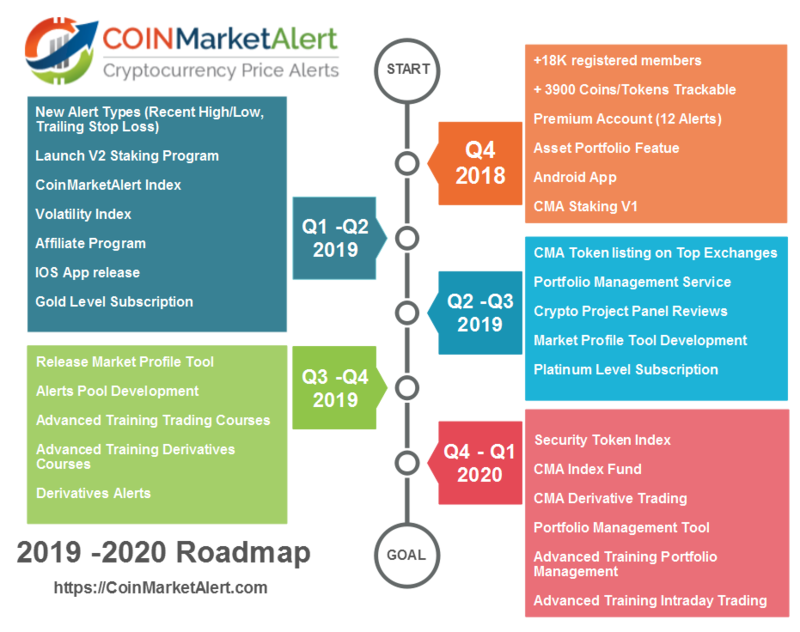 As mentioned in our previous communication, we are proud to reveal our CMA 2019/2020 updated Roadmap. Our roadmap is a goal-oriented visualization that maps out the direction and vision of what the CoinMarketAlert platform expects to accomplish and offer over time. It is a general overview of the features we plan to incorporate into our future release. We hope this will bring some clarity to the CMA community as we move forward in our development timeline. We’re excited to share our plans and progress with you. This week we will announce the newly revised Staking Program which provides an excellent opportunity to the CMA Community to benefit from our new planned amazing products. The CMA Team will be on hand to answer your questions and listen to feedback regarding the latest announcement. Please connect and stay tuned for further information.